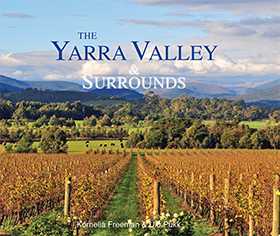 The Yarra Valley and Surrounds is a photographic and historical journey through the Yarra Valley and surrounding areas, covering interesting places to visit, places of historical significance, gardens and wineries. This beautiful book shows the beauty of one of Melbourne's popular tourist areas, with award-winning photographs, including wildlife, historical information and inspiring quotations. This is the second book in the series 'Portraits of Victoria'. 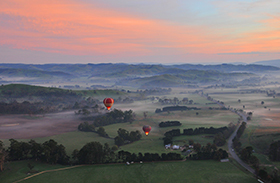 The Yarra Valley and Surrounds includes places of interest from the famous Healesville Sanctuary, the early pioneer farm Gulf Station, hot air balloon ridesand the Singing Gardens of C.J. 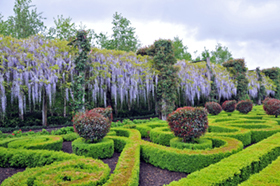 Dennis at Toolangi, to Bruno's Art & Sculpture Garden in Marysville, the picturesque Alowyn Gardens at Yarra Glen, the beautiful Blue Lotus Water Garden near Warburton, a walk back in time at the Upper Yarra Museum, and many award-winning wineries. Little known places of beauty include the giant Californian Redwoods on the Warburton River walk, Marysville's Lady Talbot Drive and Platts Falls. 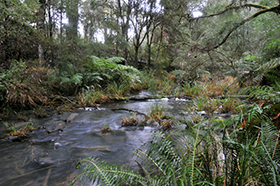 The road through the Black Spur is popular with tourists for a scenic drive through the Mountain Ash forests. During winter two of the closest snow locations to Melbourne are Lake Mountain and Mount Donna Buang. There are many places to experience.